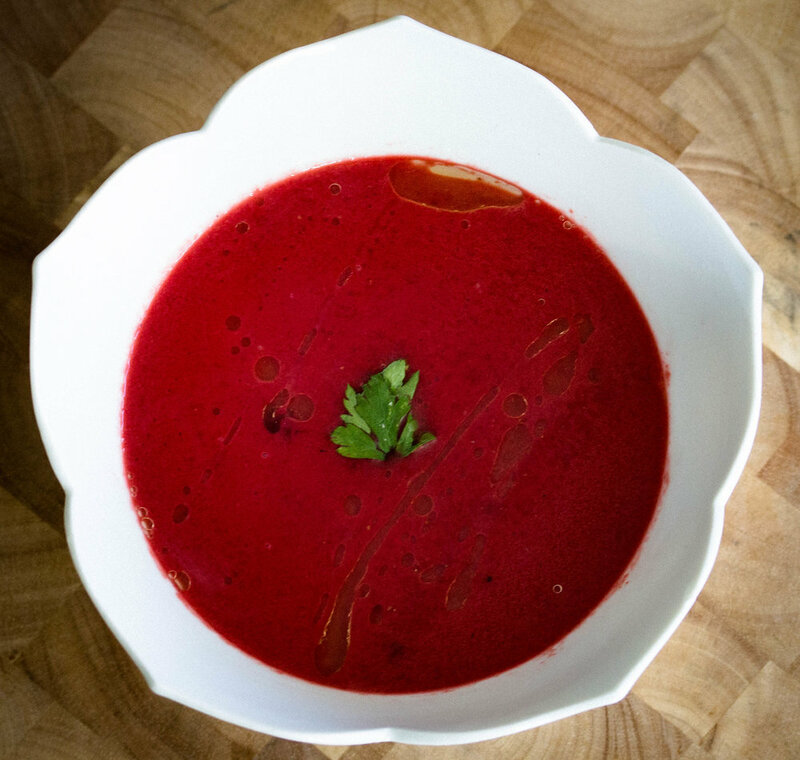 This may be one of my favorite soups I've made...not only is the color incredibly vibrant and gorgeous, but this soup has amazing healing properties. Beets are fantastic for clearing toxins from the liver as well as help support bile production which is essential in breaking down fats during digestion. Plus, this soup is made with bone broth so not only is it nutrient dense, but it is nourishing and healing to the gut as well! This is also a perfect soup for summer months as it tastes great cold, too! Garnish with parsley and avocado oil.